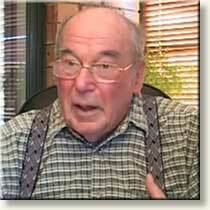 Fr Eugene Stockton is renowned for his many years of work with the indigenous peoples of Australia not only as a pastor but for his professional work helping to uncover the indigenous history as an archaeologist. Sunday week ago, 15th March, he delivered a brief address to the Australian Catholic Historical Society titled "Aboriginal Catholic Ministry: The urban apostolate". Here is how he introduced his talk: "My big hope in giving this paper is that an historian among you may be drawn to research and publish this story in a comprehensive, professional way. I am not an historian and I was too involved to be able to give an objective account. But it is an important story in the history of the Australian Church, one that should not be forgotten. In the time available I can give only a sketch, one very much from a personal point of view, glossing over the work of individuals and the content of the many reports. For these I would refer the researcher to the select bibliography. Let us pick up the sense of movement through time." The Aboriginal Catholic Ministry (ACM) appeared at a time of profound change in Aboriginal Affairs. Remember the Referendum of 1967 [Wikipedia] and the wave of goodwill it engendered. There was the drawn out struggle for Land Rights. Many Aborigines related to the Church as passive clients on missions. Catholic missions were generally set up when a religious order, without being invited, imposed itself on a local community providing a range of religious and community services. One might now look back critically at missions as being then agents of colonisation, managing peoples' lives in a paternalistic way. The history of the ACM was the story of Aborigines looking for another way, progressively claiming the right of self-determination in church affairs. This was also the time when Aborigines were leaving country towns and flocking to the city. By now most Aboriginal people are city dwellers. In the mid-sixties, while chaplain at Sydney University I heard from anthropologists their first realisation that some 15,000 Koories were then living in Sydney. I took this information as a pastoral concern to Cardinal Gilroy and he appointed me their chaplain on the spot, despite my pleading that already I had too many jobs. Luckily for me I found several lay organisations were already collaborating in the field – St. Vincent de Paul, Paulians and the Legion of Mary – and they were employing a full-tine social worker, Pam O'Grady, and a part-time Aboriginal youth worker, Kaye Mundine. Our main task then was drawing up a report requested by the Archdiocesan Pastoral Council. This was especially useful for my own self-education. An Aboriginal social worker, Eileen Lester, took me under her wing, monitoring my first steps. I remember vividly my first day of pastoral activity. One Sunday afternoon Kaye and I sat in Alexandria Park and started playing with some Koori kids. They invited us into their home and so we made our first (and long-lasting) contacts. Hence, instead of starting in a blaze of activity, with all the inevitable mistakes that would occasion, I was able quietly and shyly to ease into the work. The White Fathers at Erskineville welcomed our use of their church for Mass and the sacraments, which served as a focal point of our ministry. Meanwhile, interstate, Fr. Mick Hayes of Rockhampton was mailing out a roneoed newsletter to link up with isolated workers and communities in the Eastern States. Running to seven issues, the newsletter eventually had an address list of 232 names. The immediate aim was to get as many Aborigines as possible to Kew in Victoria, for the International Eucharistic Congress to be held in 1973. The 300 Aboriginal participants and their co-workers, who had already got to know each other through Mick Hayes' networking and regional meetings, came together as the National Aboriginal Conference at Werribee. From being passive clients of missionary endeavour they began to claim the right of self-determination, setting up the Aboriginal and Islander Catholic Council (AICC) as their official body to relate to the Australian Church, making known their wishes for the pastoral activity of the church. This was consolidated by further regional conferences. A new edition of Eugene's book was published in 2015 and is available in our BMERT Shop HERE. Back in Sydney ill-health forced my retirement, to be replaced by Fr. Alan Mithen as full-time chaplain in 1974. So began the most flourishing stage of the Sydney apostolate, with a considerable band of volunteers, including Shirley Smith, Val Bryant, Angela Breen, Sr. Ignatius, Sr. Oliver, Gloria Matthews. Parallel to their efforts was the ministry and witness of Fr. Ted Kennedy in the Redfern parish. These activities were detailed by Fr. (later Bishop) Hilton Deakin in his 1975 report to the Australian Bishops. In 1978 the Australian Bishops issued their Social Justice Statement on the subject "Aborigines: A Statement of Concern". In 1979 Alan Mithen was elected Pallottine Provincial and the chaplaincy lapsed. In the following decade Bishop John Heaps sought to revive the urban Aboriginal apostolate, commissioning a report by Nurse Jennifer Bush. The Bush Report, submitted in 1985, called for the formation of local church communities, under Aboriginal control and leadership, served by an Aboriginal church team, to which might be co-opted a (white) priest or religious. The philosophy of the emergent Aboriginal Catholic Ministry (ACM) was explicitly "ministry by Aborigines for Aborigines". A priest co-opted to the church team was no longer designated "Aboriginal chaplain", but "Priest Assistant to the ACM". Pastoral care of Aborigines was thereby seen as the direct responsibility of the church team, who could use the services of a priest or religious at their discretion. I took on the new role of Priest Assistant, initially for the three divisions of the former Sydney Archdiocese, but found it realistic to concentrate on the Parramatta Diocese, which by then had the largest Aboriginal population in the nation. Sr. Naomi Smith was also co-opted to the Parramatta ACM. Fr. Frank Fletcher was our counterpart for the Sydney ACM, centred at Erskineville. A number of country dioceses developed their own ACMs along the same lines, while similar developments occurred in Perth, Adelaide and Melbourne (while the AICC continued to flourish only in Queensland). 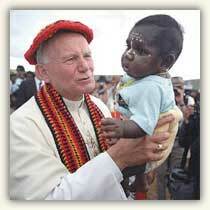 The first task of the Parramatta ACM was to raise money for travel and accommodation of local people to Alice Springs where Pope John Paul II was to meet Aboriginal people. Similar groups all over Australia were caught up in planning the details of the meeting and the logistics of getting so many delegates from all parts of Australia together. It must be remembered that most of the people were poor and had to make considerable sacrifices to be there to greet the Pope. The networking between the groups and the spirit of the occasion gave rise to a sense of national identity and the eventual formation of the National Aboriginal and Torres Strait Islander Catholic Council (NATSICC, the successor to the AICC). 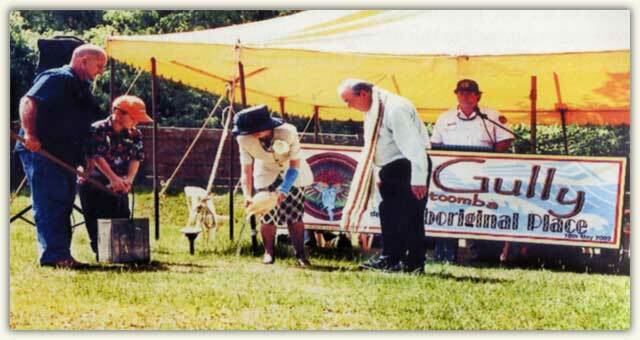 The meeting itself in Blatherskite Park, Alice Springs, on the 29th November, 1986, was a most memorable and historic occasion, cementing the Catholic Church, at all levels, to her maturing Aboriginal flock. The Pope's address stressed the Church's esteem for Aboriginal culture, her invitation to them to live their Christian faith in an Aboriginal way, support for land rights, and the vision for the future. I have heard the Pope's words repeated in Aboriginal gatherings in many parts of Australia, even to this day. His declaration was a foundation charter for the Aboriginal Catholic Ministry, in whatever form it was to take in different parts of Australia. "I want to tell you right away how much the Church esteems and loves you, and how much she wishes to assist you in your spiritual and material needs . . . For thousands of years you have lived in this land and fashioned a culture that endures to this day. And during that time the Spirit of God has been with you. Your 'Dreaming' . . . is your own way of touching the mystery of God's Spirit in you and creation . . . For thousands of years . . . through your closeness to the land you touched the sacredness of man's relationship with God, for the land was the proof of a power greater then yourselves . . . The silence of the bush taught you a quietness of soul that put you in touch with another world, the world of God's Spirit. You have learned how to survive, whether on your own lands, or scattered among the towns and cities . . . You have kept your sense of brotherhood. If you stay closely united, you are like a tree standing in the middle of a bushfire sweeping through the timber. The leaves are scorched and the tough bark is scared and burnt; but inside the tree the sap is still flowing, and under the ground the roots are still strong. Like that tree you have endured the flames, and you still have the power to be reborn. The time for this rebirth is now. The Gospel now invites you to become, through and through, Aboriginal Christians . . . You do not have to be people divided into two parts, as though an Aboriginal had to borrow the faith and life of Christianity, like a hat or a pair of shoes, from someone else who owns them. Jesus calls you to accept his words and values into your own culture . . . to express the living word of Jesus in ways that speak to your Aboriginal minds and hearts . . .
And the Church herself in Australia will not be fully the Church that Jesus wants her to be until you have made your contribution to her life and until that contribution has been joyfully received by others". Back home in Parramatta, Fr. Phil Medlin replaced me as Priest Assistant to the ACM in 1993. In 2010, despite strong pleading with Bishop Anthony Fisher by myself and other ACM workers, the Parramatta ACM, as also that of Sydney, was subsumed under the respective Catholic Social Services. Eugene Stockton at the Official Dedication in 2002 of "The Gully"' at Katoomba as an "Aboriginal Place"
Photo by Jo Erskine from the book "Blue Mountains Dreaming" by Eugene Stockton & John Merriman (editors). 1966 Collaboration of 3 lay organisations. Preparation of Report for Sydney Archdiocese. 1968 Fr. E. Stockton as part-time chaplain. 1970 Pope Paul VI addresses Aborigines in Sydney. 1971 Report to Archdiocesan Pastoral Council (ACR 1979, pp.143-5). Fr. M. Hayes networking with east-coast workers and communities. 1973 National Aboriginal Conference, Werribee, Aboriginal and Islander Catholic Council. Regional Conferences. Deakin’s report to Australian Bishops (submitted 1975). 1974-9 Fr. A. Mithen as full-time chaplain with large pastoral team. 1978 Australian Bishops’ Social Justice Statement “Aborigines: A Statement of Concern”. 1985 Bishop Heaps commissions report by Jennifer Bush. 1986 Fr. E. Stockton, priest-assistant to ACM. Implementation of Bush report. Pope John Paul II meets with Aborigines in Alice Springs (29/11/1986). Principle of self-determination in local church and national organisation (NATSIC). 1986 ACM functioning in Parramatta and Sydney Dioceses. Fr. F. Fletcher at Erskineville, NSW network of local Diocesan ACMs. Comparable bodies in Qld., also Perth, Adelaide, Melbourne. Kuri-Ngai Partners. 1993 Fr. P. Medlin replaces Fr. E. Stockton (Parramatta). 2010 ACM in Parramatta and Sydney subsumed under respective Catholic Social Services. Domestic Situation of Aborigines in Sydney. 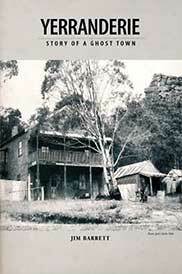 Tjurunga: An Australian Benedictine Review, 1972, June, pp.48-57; Dec., pp.39-50; May, pp.13-21. The Sydney Church and Aborigines, 1968-1978. Australasian Catholic Record 56, (1979), pp.127-146. Nomadic Ministry. Nelen Yubu 24, (1985), pp.18-24. Also Faith and Culture X, (1985), pp.5-13. The Plight of Catholic Missions in Australia. Nelen Yubu 27 (1986), pp.20-29. Nationwide Aspirations of Aboriginal Catholics. Nelen Yubu 30 (1987), pp.23-28. The Pope’s Meeting with the Aboriginal People. Australasian Catholic Record, Vol. 64, No. 2, April 1987, pp.123-132. Aboriginal Catholic Ministry, Sydney. Faith and Culture: Bicentennial Reflections (Eds. M. Press and N. Brown). Catholic Institute of Sydney, 1988, pp.163-173. Aboriginal Catholic Ministry, Parramatta Diocese. Nelen Yubu 40 (1989), pp.26-29. Kuri-Ngai Partners. Nelen Yubu 43 (1990), pp.6-8. 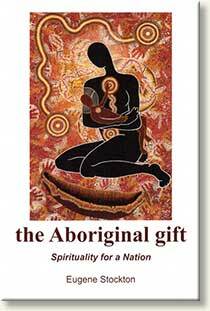 The Aboriginal Gift: Spirituality for a Nation. Millenium Books, Alexandria, 1995. The image used in the headline is of the Sanctuary of the Church at Wadeye, Port Keats, in the Northern Territory. It has been sourced from the book "Aboriginal Church Paintings: Reflecting on our Faith" edited by Eugene Stockton with Terence O'Donnell. Fr Eugene Stockton. Submitted to Catholica 21 Mar 2015.